6160S- Steel, LTZ-400/Z 2009, LTR-450/Z 06-09. 520 Chain. 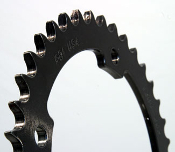 Our Products >> Steel Rear Sprockets, USA >> 6160S- Steel, LTZ-400/Z 2009-2014, LTR-450/Z 06-09. 520 Chain. 6160S- Steel, LTZ-400/Z 2009-2014, LTR-450/Z 06-09. 520 Chain. 6160S- Steel, LTZ-400/Z 2009-2014, LTR-450/Z 06-09. 520 Chain. Available in 36 through 43 tooth size. Sold in Zinc Silver finish.